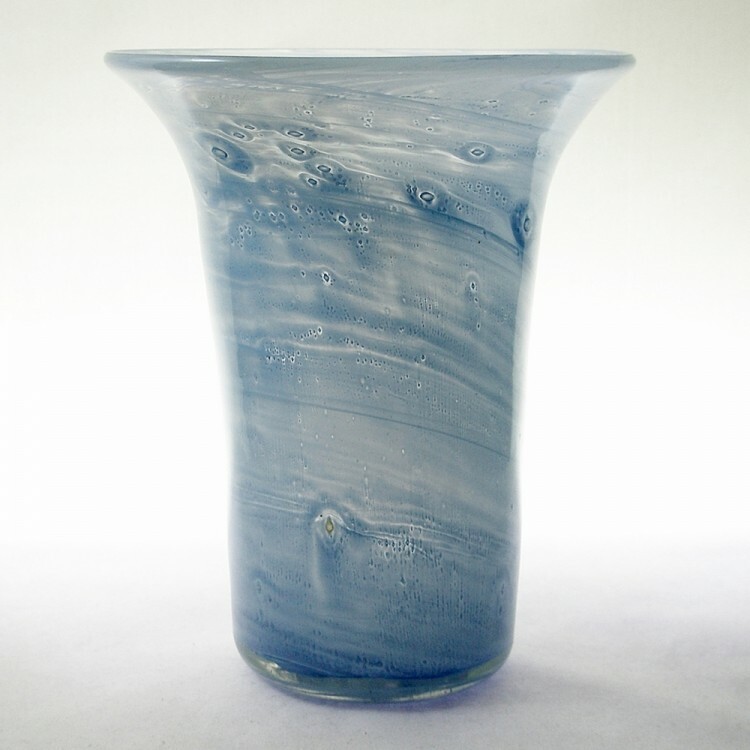 A clouded mottled pastel blue glass vase with a flared rim and rough pontil mark. 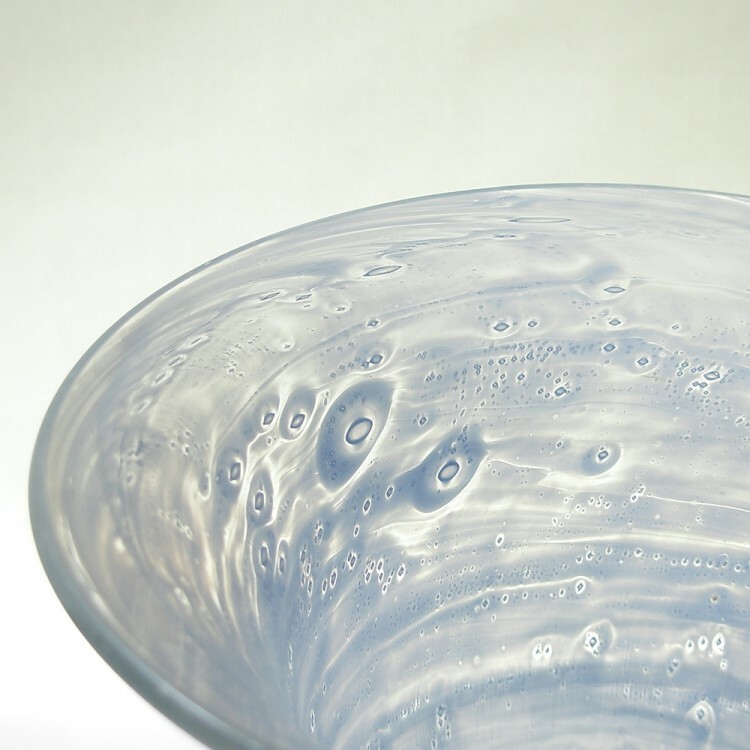 Probably made by English firm Nazeing. Excellent condition, no chips, nicks or staining. 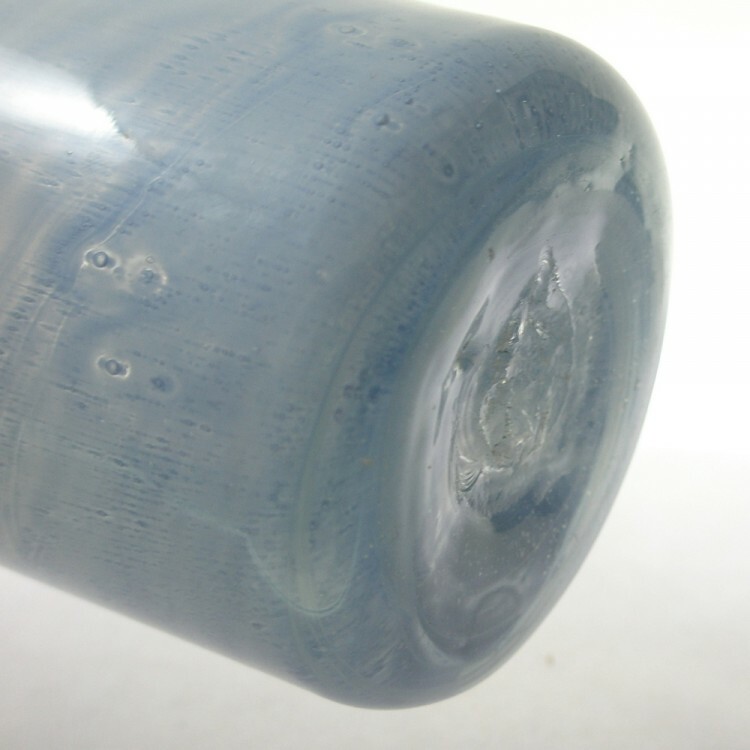 The vase has a few inclusions and encased air bubbles.